Gift Cards can do a lot for your business. When you sell a gift card to your client it's comparable to a mini billboard being carried around everyday! This mini billboard makes a great gift option any time of the year! You are paid in advance for services rendered. You keep the cash until the card is redeemed. Not many marketing strategies will improve your cash flow like gift cards do. You get to capture the difference. Most people will actually spend more on a transaction than a gift card is worth, which results in profit for your business. Gift Cards can bring in new customers when they are given as gifts to consumers who have never shopped at your establishment before, the gift card will force them to come into your business and you get the opportunity to create new loyal customers with your brand and exceptional customer service! 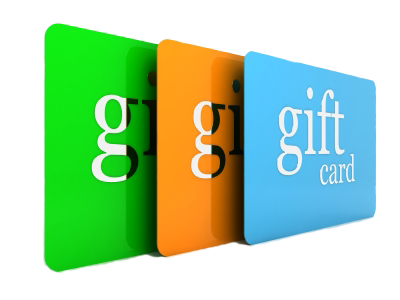 Reduce Fraud - offer a gift card balance for merchandise returns past expiration dates, this encourages more sales. Contact us today and grow your business - one card at a time!